Join Les Craig for a safe and productive Gold Beach Oregon fishing trip tailored to your fishing parties schedule. Fish for mint bright Ocean fresh Rogue River Salmon April through October and Steelhead December through March. We take up to 4 people per trip in our very comfortable 21 ft. Boice Jet Boat, all tackle and bait provided. A quality outing for the entire family. We have Ocean Charter fishing trips available for Bottom Fishing. The Port of Gold Beach at the mouth of the Rogue River has some of the West Coasts best Bottom Fishing for Ling Cod (Spring is best) Black Rock fish and other varied species. The Rogue Reef is just 3 miles from port and our 26 ft. Striper Ocean Charter boats will get to the fishing grounds in minutes. These Charter fishing trips are again tailored to your parties needs. All bait and tackle is provided. Our Ocean Charter Trips are generally 5 hours dock to dock, with limits the general rule. 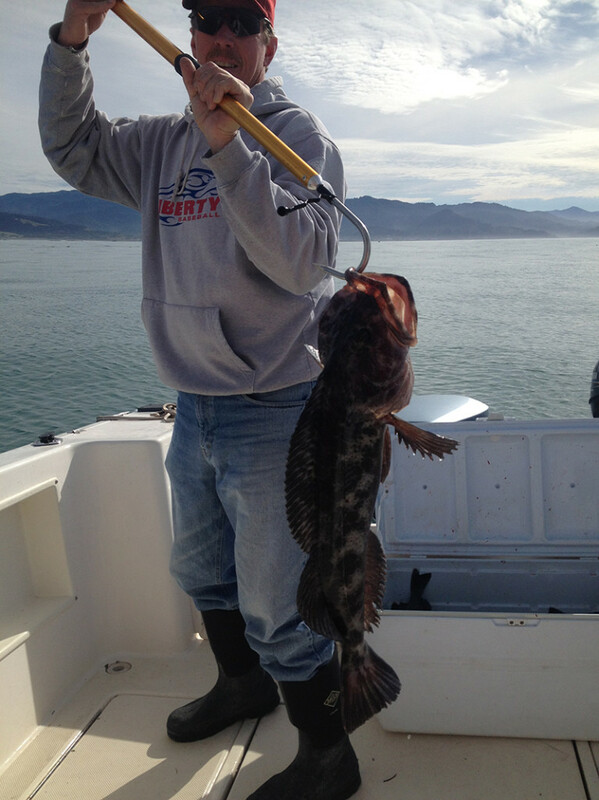 Lingcod and Rock Fish are excellent table fare. There are certain times of the year where we can do combination fishing trips with 4 hours Bottom Fishing and 4 hours Rogue River Salmon Fishing. We again can adjust these combination fishing trips to suit your parties needs as long as you book the entire boat. These trips book fast so set your dates aside with $100.00 deposit per person per day.